And get rolling with Healthcare IT Leaders. Healthcare IT Leaders is committed to helping healthcare employers have a smoother healthcare IT experience. So it only makes sense that we’re giving away a 2019 Domane SL 5— the ideal road bike for smooth riding and efficiency. The contest is open to all HIMSS19 attendees*. Simply complete the form at right to enter. A winner will be selected Feb. 25, 2019! * Contest Rules: Only open to HIMSS 19 conference attendees. One entry per attendee. Healthcare IT Leaders employees are not eligible to win. 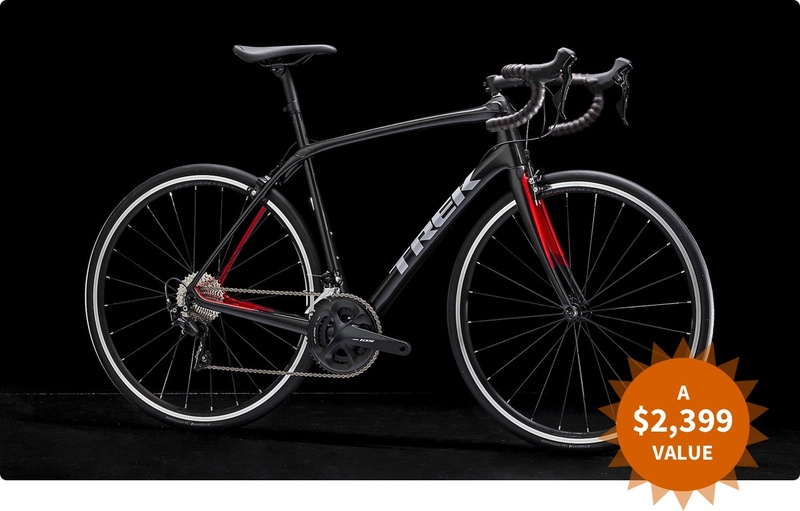 Depending on bike size/availability, a comparable road bike may be substituted.